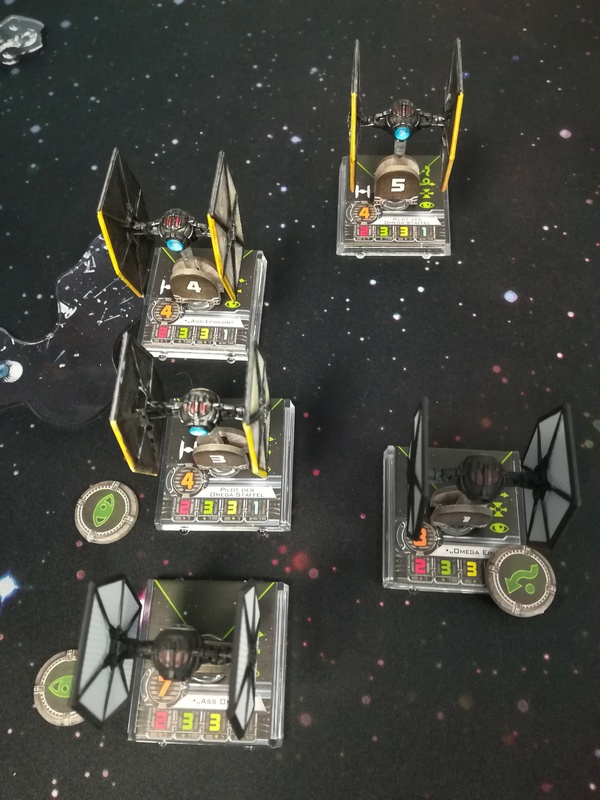 This weekend saw my son’s and my first appearance at a X-Wing store championship. We had a couple of relaxed games and made places 8 and 9 in a field of 15 competitors. All got a prize, our’s were a few upgrade cards and a laser cut fibre fire range stick. Quite respectable for a first time. The TIE space superiority fighter with its side wings is the iconic space fighter. The new TIE / first order model differs from older models in being more maneuverable and easier to fly. Also it is fitted with an #1 energy shield. With its potential it should prove quite deadly in the hands of an expert pilot. I have successfully ignored Star Wars X-Wing™ for many years. Somehow with the new film Episode VII – The Force Awakens I got interested to give it a try. Most important was my discovery of a online source for solo game play: X-Wing Miniatures AI. Also I wanted to have a good reason to put to good use my newly acquired mouse pad planet.